History may be a common link among historic preservation graduate students in the Class of 2018, but many also share an interest in public service, global travel and literally digging into projects. They also share the distinction of being the first cohort of historic preservation students enrolled in Portland, where the program moved this fall. By relocating to the White Stag Block, the preservation program — now in its 36th year — has “a wonderful opportunity to work with different communities in Portland to identify what elements of the past are important to remember and to think about how the city’s history can be useful in building an even better future,” said James Buckley, the new director of historic preservation. He joins UO from the Massachusetts Institute of Technology. Buckley sees plenty of opportunity to having the program headquartered in Portland. Along with having the resources of the UO nearby, the program will benefit from the many historic resources in Portland, from historic districts to preservation practitioners and cultural landscapes. It also has the White Stag Block itself, the historic property that serves as the home of UO Portland. The School of Architecture and Allied Arts still offers a minor in historic preservation, with those classes located in Eugene. For the Portland students — who each bring a unique background — a love for learning and research drew them to program and is a commonality they share. Caity Ewers spent two summers on an archeology project in Cyprus. Allison Geary has a bachelor’s degree in ceramics and runs a business crafting wooden tools for fiber artists. And Tim Wood has designed museum exhibits. The six students kicked off their program by completing the Pacific Northwest Field School over the summer. It was a chance for them to bond as a team through hands-on building repairs and in the archival research projects they’ll undertake during the two-year graduate program. The field school is an integral part of the Historic Preservation Program. It began in 1995 at the Pete French Round Barn in Eastern Oregon and has since evolved through partnerships with the Oregon Parks and Recreation Department, the Oregon State Historic Preservation Office, the National Park Service and other regional preservation entities. Each year the field school tackles a preservation project at a new site, training students in hands-on preservation practices as well as helping to preserve historic buildings and structures. 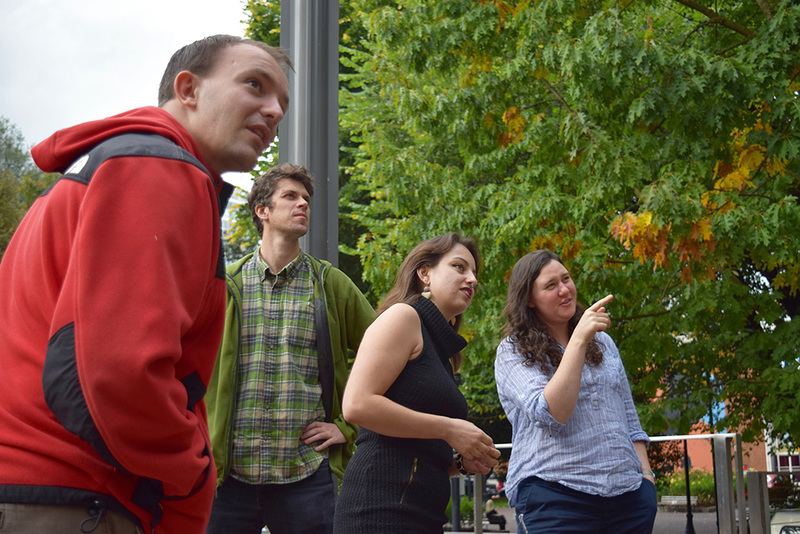 As the new term gets underway, the students look forward to learning about historic preservation with the buildings and neighborhoods of Portland serving as another classroom. The program’s sterling reputation also drew Samantha Gordon’s interest.